Whether you need a basic topsoil, lightweight soil for a greenroof, stormwater treatment measures or an organic garden, we have the highest quality materials available for every application. 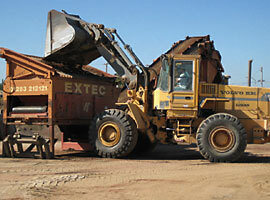 We process our own USDA sandy loam, screened topsoil and sand materials. This capability combined with the wide variety of organics and amendments we keep on hand gives us the ability to produce any sort of soil mix for any application. Whether you need a basic topsoil or a complex lightweight soil for your green-roof, we have the high-quality materials to make your project successful. We are exclusively licensed by Amereq, Inc. to produce Cornell University's unique, patented structural soil for use in urban tree planting. 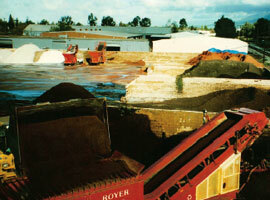 We have been producing CU-Soil® since February of 1999 and have over 200 successful installations to date. Please check out the Structural Soil page for more details and information. 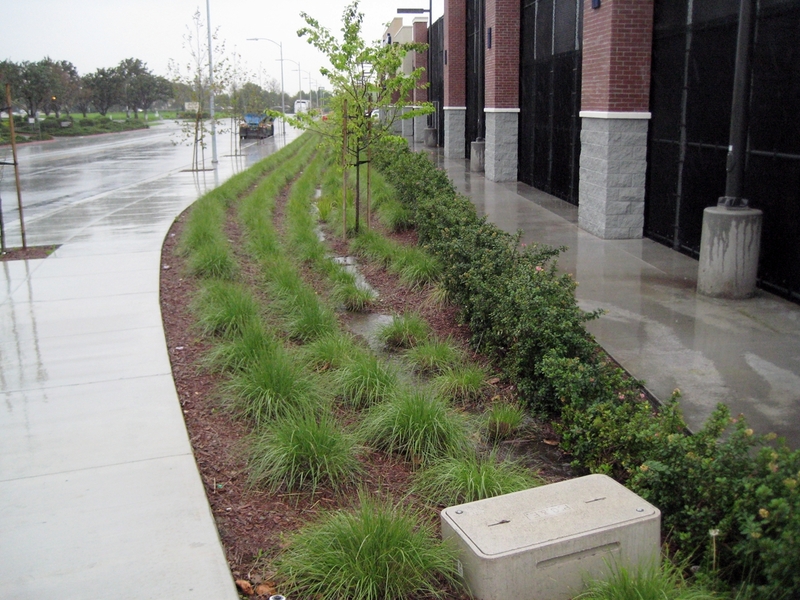 Soil based stormwater treatment measures are a vital part of just about every project any more. It has become critical for architects and developers to treat all the stormwater that falls on their site before allowing it to flow into storm drains or streams, both of which eventually lead to the bay. Some designs treat the water, removing pollutants as the water flows through a vegetated swale. Others treat the water by routing it to a retention basin and allowing it to infiltrate through a specialized soil media before routing to storm drains or possibly even percolating into the groundwater system. While there has been some standardization around the soils required for these applications, it seems like many counties or even cities have a particular preference that they add to the specifications. 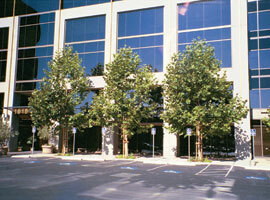 TMT Enterprises has current test data on several variations of stormwater treatment soil, meeting the requirements of all surrounding jurisdictions. 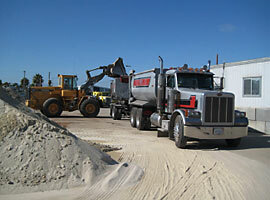 Regardless of the city or county you are working in, we have soil to meet their demanding specifications. If you are a designer wishing to modify these soils to meet a particular requirement, we can help with that as well. Increased natural filtration of pollutants (DE is the most common media in swimming pool filters). Axis® increases Plant Available Water, meaning reduced or eliminated irrigation requirements and increased plant vigor & survival rates in non-irrigates areas. Axis® improves the movement of water through the soil. Axis® helps foster the correct environment for the growth of beneficial organisms in the soil, many of which also aid in removing pollutants while others serve nutrients, oxygen & water to the root system of your plants. Contact us for more specific information on how Axis® can benefit your project.